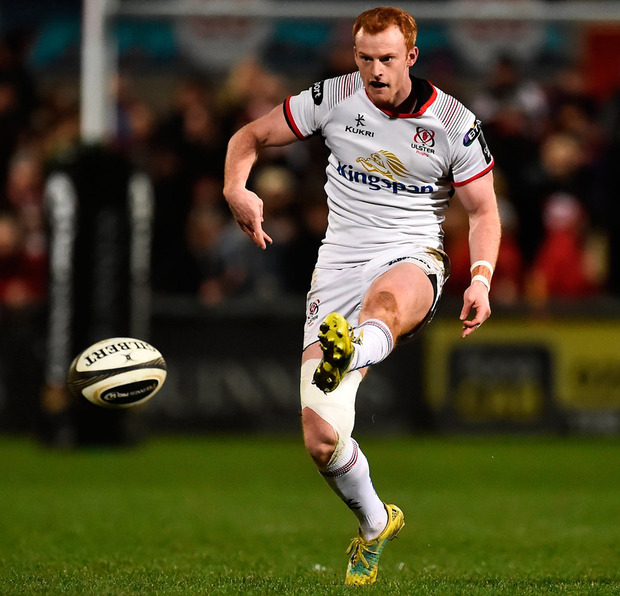 Ulster defied losing three men to yellow cards to record what could prove to be a crucial bonus-point win over the Dragons in Newport. Dan McFarland's side, who are chasing a play-off spot, scored tries through Jordi Murphy, Marty Moore, John Cooney and a crucial late effort from skipper Alan O'Connor. A penalty score and a Taine Basham try for the Dragons gave Ulster something to worry about. Dragons lost captain Richard Hibbard in the warm-up and his stand-in as skipper, Harrison Keddie, to a foot injury, but they did open the scoring through Josh Lewis. The visitors hit back as phase after phase ended with Murphy crashing over from close range and Cooney converted before Lewis missed a second penalty effort. 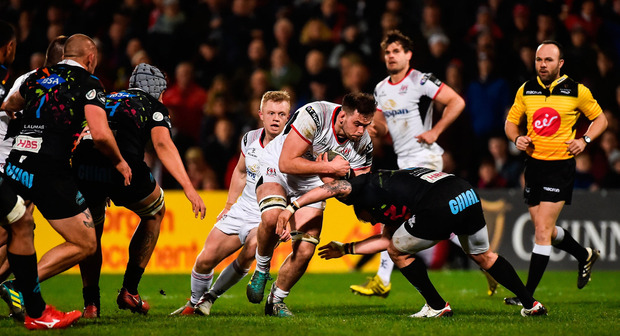 Darren Cave was yellow carded for an early tackle on Lewis, but a man deficit failed to stop Ulster moving further clear on the game's resumption with two quick scores. First Moore crashed over after taking a fine line from a Cooney pass. Then the scrum-half pounced for a third Ulster try following a poor kick inside his own 22 by Rhodri Williams. Cooney added two conversions and that was the game. The final quarter saw plenty of action. Rob Lyttle and Louis Ludik were both sent to the sin bin for deliberate knock-ons and the Dragons were awarded a penalty try. 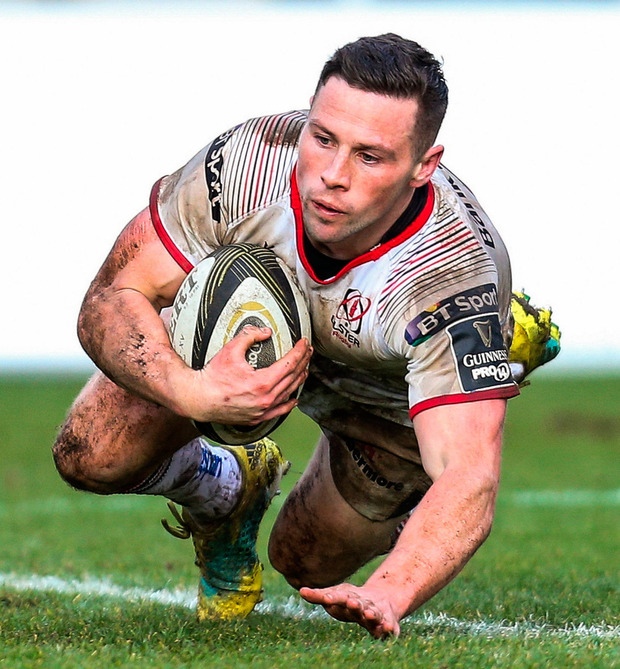 An automatic seven points gave the hosts some respectability, but Ulster were easy winners and even with 13 men they were able to crash over for a bonus-point effort via O'Connor. There was still time late on for the Dragons to grab a late consolation via Basham, one of their few bright sparks. Ref - Stuart Berry (SARU).